Batman Beyond was, in many ways, a bold experiment. You had a Batman who wasn’t Bruce Wayne and an all-new supporting cast (aside from Kevin Conroy as Bruce and occasional cameos from Barbara). While some may have looked at this chapter with a little skepticism, I couldn’t have been more excited. The Kevin Conroy/Mark Hamill iteration of the mythology was far and away my Batman, the one that, all these years later, I still look back on with immense sentimentality. I couldn’t wait for Batman every night, so the idea of brand new series set many years in the future was something I anticipated with great interest. The TV spots and trailers would give us glimpses of the new characters, most notably our new main hero Terry McGinnis, and a character who I thought was Joker’s son, given the fact that the design was reminiscent of the iconic villain. When the trailers announced the release date as January 10th, I counted down the days to the premiere. Unfortunately, I hadn’t counted on my obligations to a basketball league on the weekends, which meant that I had to miss the episode. I remember begging to stay home that day, a recurring conversation in my house when it came to Saturday Morning Cartoons. But life had to go on, and in the following weeks I would start watching the show and was transported back to the DC animated universe, eventually circling back to those episodes I had missed. Even as a kid, I realized there were distinct parallels between Terry’s story and Peter Parker, the big difference here (at least to me) being that Terry’s far more of a bad boy; he almost has a Luke Perry/Dylan McKay attitude, which would have been understandable given the prominence of Beverly Hills 90210 at the time. Other than that, Terry’s initial story-line plays a lot like Spidey’s. He gets into a fight with his father and storms out, only to come back to find that his house has been robbed and his father murdered. Where Batman Beyond quickly begins to echo its progenitor is when Terry puts the pieces together about a conspiracy and asks Bruce for help. Soon, they are working together, with Bruce taking on the Alfred role. With this new dynamic set up, we meet the new Rogues Gallery, most notably Derek powers, who, of course, is the CEO of Wayne-Powers, having acquired Wayne Enterprises in the intervening years, likely due to Bruce’s myopic need to fight crime. Throughout the Batman mythos, Batman tends to be at least tangentially responsible for the creation of his villains; look no further than Gordon’s speech about escalation in Batman Begins. There is some poetry in the fact that Terry’s Batman is responsible for turning a corrupt Lex Luthor style villain into a new breed of criminal who soon became known as Blight. Where the Peter Parker parallel comes back into play is how Terry must balance being Batman with his social life, the latter of which Bruce never really had, mostly just going out to party as a means of throwing people off. While it can be argued Bruce’s life was little more than a construct to him, Terry’s life outside of being Batman is real. He didn’t grow up mired in tragedy, his only desire to avenge his parent’s murder. Instead, Terry grew up with his parents and, despite some trouble with the law, had a very happy childhood. All he wanted to do was be a teenager. Throughout the show, Terry struggles to spend time with girlfriend Dana and honor his commitment to Bruce. The relationship with Dana is a critical difference between the two, with Bruce often falling into dysfunctional relationships with the likes of Talia al Ghul and Andrea Beaumont. With Terry and Dana, the biggest obstacle between them seemed to be, well, Batman. At first, she was understanding, but the strain was often too much on their relationship, with Dana blowing up at him more than once. While the producers admitted they were looking for him to have a romance with the couple’s mutual friend, Max, nothing ever came of it. I have to admit, I was relieved, because I felt we had a lot of ground to cover in exploring this version of the DC universe, and this furthered delineated Terry from Bruce. Not only did we get a cameo from the Justice League and a crossover with Static Shock, but we were also treated to return cameos from the likes of Bane and Mr. Freeze. At first I was surprised that Joker didn’t show up, but I should have known they were saving the best for last (not counting a 2014 short) with Batman Beyond: Return of the Joker. I loved the idea that it was Tim in disguise throughout the movie, having been used as a vessel by the Joker when he was captured and turned into Joker and Harley‘s “son” JJ. As a result, I felt Tim putting on the Batman Beyond suit in the comics a few years ago was poetic. For a while after the Joker film, I thought we would only get the character in comic book form. Little did I realize that Bruce Timm and co. had one last trick up their sleeves. The DC animated universe continued for a few more years after Batman Beyond, with Kevin Conroy trying to adopt a voice that would acknowledge an older Batman but not fully embrace the Beyond version. With the producers unsure of the future of the DCAU, they brought back Will Friedle (as they had done for a previous Justice League cameo) and created a Batman Beyond-centric episode called “Epilogue,” which would, you guessed it, create an epilogue taking place fifteen years after Batman Beyond. This would not only wrap up this iteration of the Dark Knight but, in my opinion, the DCAU as a whole. Terry was becoming more and more like Bruce, refusing to be a team player and pushing away Dana (who in the intervening years learned Terry was Batman). Upon learning he is a perfect kidney match to Bruce (the odds of which are astronomical), he goes to Amanda Waller, who tells him Terry is the product of a project called “Batman Beyond.” She took Bruce’s DNA and gave Terry’s father an injection that made an exact copy of Bruce’s DNA. She even tried to have Terry’s family killed to recreate the circumstances under which Bruce became Batman. The assassin, who happened to be Andrea Beaumont, couldn’t do it, and Terry got to grow up with both of them. Terry wonders if this means he’s a clone, but Waller corrects him and says that Terry is Bruce’s son. and if he wants to be better than Bruce, he should take care of the people who love him. Later, Terry heeds Waller’s advice and, after calling Dana for a date while admiring the ring he just bought her, he flies into the night to protect the people of Gotham, just as his father had done for so many years, thus ensuring the legacy lives on. 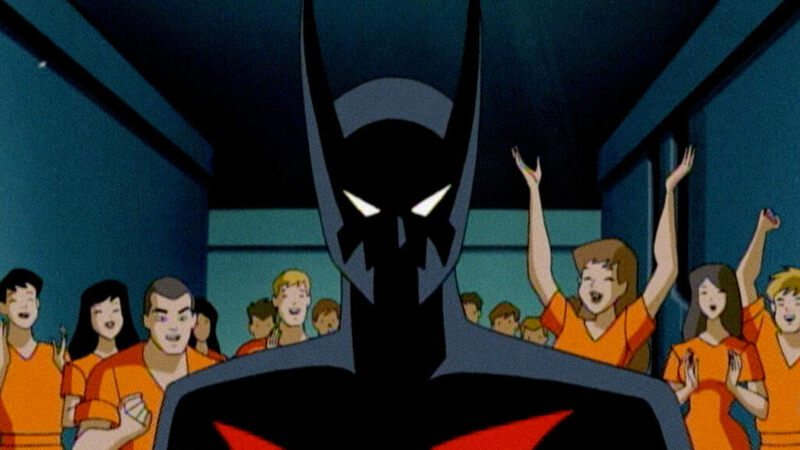 The Batman Beyond experiment – both the show and Terry himself – was a success. 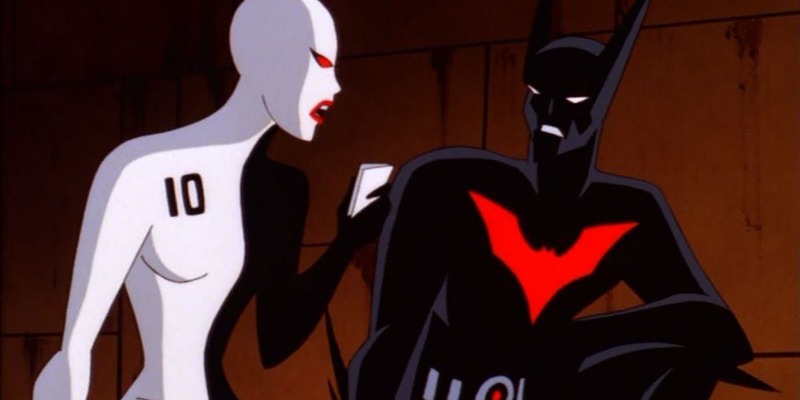 With a mostly new supporting cast, new villains, and the return of some old favorites, Batman Beyond serves as a fantastic future for the DC animated universe. Terry being Bruce’s “son” may not be canon in the comics (Damien Wayne takes that mantle), but that’s OK. A show that served as a vehicle for a teen version of Batman now serves as a reminder that you don’t always need Bruce Wayne under the cowl. Anyone can be Batman.